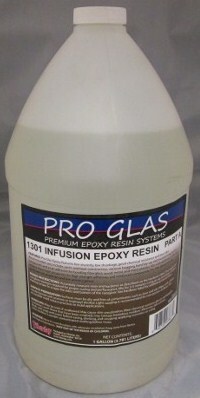 ProGlas 1301 Epoxy Resin is a low viscosity liquid bisphenol-A based epoxy resin diluted with cresyl glycidyl ether. Low viscosity for easy pumping and handling. Reacts with full range of curing agents at low temperatures. Produces high-strength cured systems resistant to chemical attack. Lower odor and Less prone to crystallization than other diluted epoxy resins.